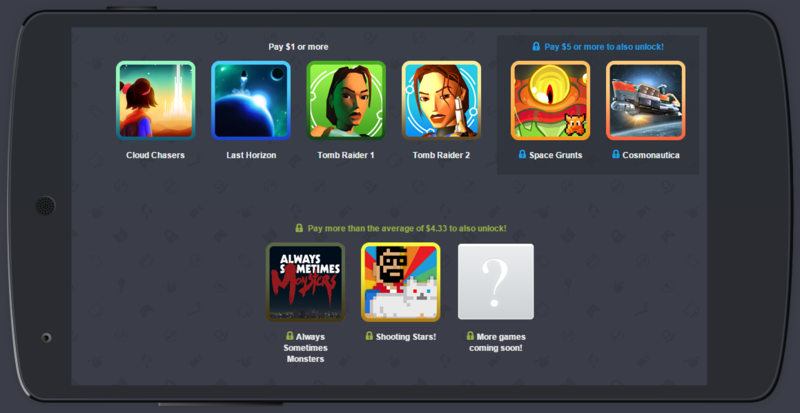 A new Humble Bundle has debuted; the 20th iteration of the mobile bundle. This is your chance to snag some cool Android games for a very low price, and also support charity while you're at it. The current bundle has eight games with more on the way, and you can get in the door for as little as $1. This bundle has three tiers. There's the base tier that is unlocked by paying $1 or more. That one includes Cloud Chasers, Last Horizon, and Tomb Raider 1 and 2. If you pay above the average price, you get Always Sometimes Monsters and Shooting Stars. This tier is also where new games will be added. Then final level is unlocked by paying $5 or more and includes Space Grunts and Cosmonautica. New games are added to the Humble Bundle after a week, but you'll automatically gain access to them if you buy before then. The bundle is live for two weeks total.